Directory – AAA Partnership Pvt. 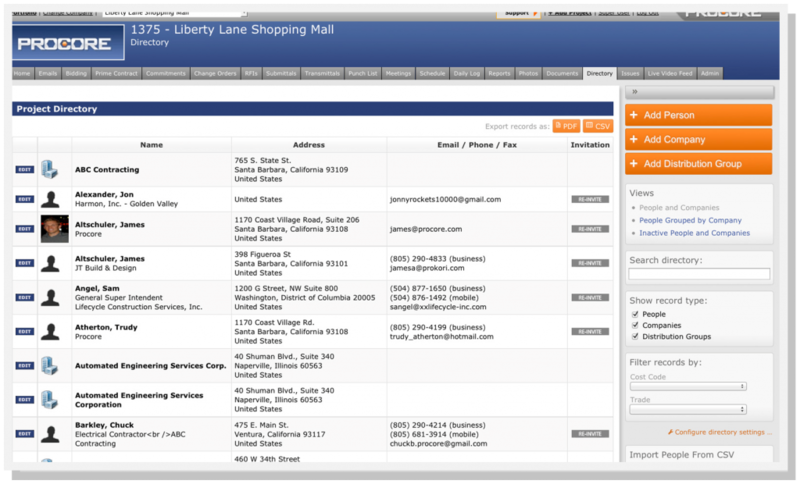 Ltd.
Procore construction project management software makes it easy to store any number of contacts. Contact lists can be imported using standard CSV format. Procore allows permissions to be set at both the Company and Project level. Users can be set to have no access, read-only access, read/write access, or admin access. Procore construction software allows your organization to quickly create custom permission templates for specific project roles. Sub-contractors, engineers, architects -- each type of trade partner can have a custom role-based template. Procore makes it easy to provide a specific user with different permission levels on separate projects. You determine what every user can see, read, edit, or create on each project.